New Delhi: In the past few years, our country has indeed risen as a major hub for top quality medical services. While India has indeed become a centre point for tertiary medical care and medical tourism, this development seems to be highly concentrated in private/corporate hospitals, with the government setup falling far behind. Even the politicians and bureaucrats of the country seek either the private sector or abroad when looking for quality medical care. 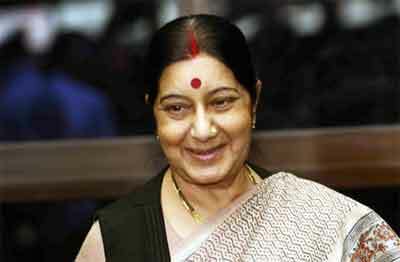 Recently Minister of External Affairs, Smt Sushma Swaraj was suffering from renal failure and required a kidney transplant. While, like many, she could have travelled abroad or to a state of the art private hospital in India, the minister showed faith in the government medical setup and took admission at AIIMS, the premier medical institution of the country and a government hospital. She is reported to have undergone a successful procedure and was discharged yesterday. This move of the minister, of getting admitted at AIIMS has been highly appreciated by government doctors, who have lauded her for setting an example and showing confidence in the government healthcare setup. I would have appreciated if the chief surgeon would not have been from Fortis Mohali.It does not make sense that you call Surgeon from outside and get yourself operated. Moreover it is a shame that these big faculties at AIIMS are not trusted for ministers surgery.This is in spite of or running a so called successful kidney transplant program. The treating kidney transplant surgeon was from Fortis Mohali treating the minister at AIIMS..